West Ham United is having a very good season and they are at this moment on 8th place in the league table with a total of 39 points, and no relegation worries for them this season. They are coming after a 2-2 draw away at Tottenham in a game where they had a 2-0 lead and were the better team and deserved to win that derby game but they received two late goals. 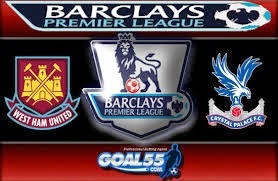 As for this game here against Crystal Palace my bet is going to be on home win and getting my stake back if they should draw as West Ham is a very good team this season.